from night owl to early bird. That title should probably read “From night owl to reluctant early bird.” At least initially. My propensity for staying up late goes way back, and probably started with my mom and grandmother (whom I dubbed “Gammy” at an early age). If you need an example, here’s a good one: when I was still little enough to be spending the night at my Gammy’s house, she would sometimes wake me up for a “midnight milkshake” with her. Um, was your grandma that cool? …Didn’t think so. As an adult now, staying up late is still my natural tendency and preference. Actually, was….until I became a mom and then I had no choice but to re-evaluate the sleep situation. Staying up after I’ve put my daughter to bed seems appealing at first because I can finally have some alone time (which the introvert in me craves) and get some things checked off my to do list. This is all fine and wonderful until the alarm goes off the next morning and have to be a parent or an employee. Who is attentive. And awake. And honestly, these days I’m pretty much done by 9pm. Just, done. So I’ve had to bury my night owl ways. And now…..brace yourselves. I’ve actually morphed into a morning person. No one is more surprised by this than me. It’s not so much by choice as it is an absolute necessity to my sanity. Because when I’m up…..no one else is. Just me and glorious silence. What really inspired me to make this schedule change a consistent priority was reading The Fringe Hours: Making Time for You by Jessica Turner. 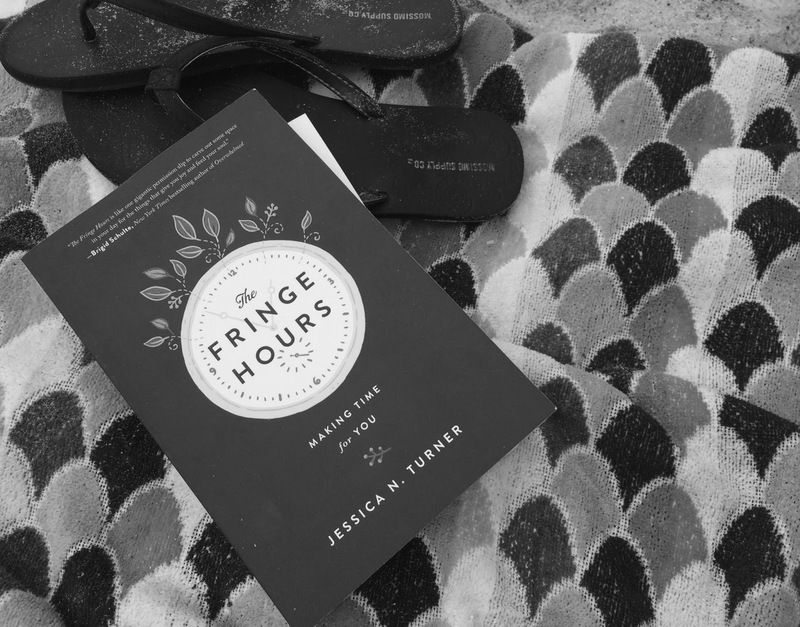 It also didn’t hurt that I read it while at the beach several weeks ago so I had plenty of time to reflect on finding my own “fringe hours” and how I want to spend them. In her book, Jessica confirms everything I was already feeling and learning about taking time for myself. Only now I don’t feel guilty about it. The idea is that there are moments throughout the day you can claim for yourself and collectively they provide you with the space and time to feed your passions – however that looks for you. “Not having time for yourself” is a lousy excuse. Those days are over. Find the time. Make the time. And the best news is that you already have the time built into your day – but according to Jessica, you just aren’t taking full advantage of it. If you have a book bucket list you want to read through, and also sit in a car rider line for 45 minutes every week day, you could work your way through those books just by using your idle time in the car. Whatever your passion is, it deserves to have priority in your life. For me, the biggest portion of time I’ve carved out for myself is in the morning. It looks something like this: I usually have my Pandora station playing Hillsong while I read through the day’s SheReadsTruth study and take the time to pray uninterrupted. Beginning my day with quiet time has renewed my walk with God and made an undeniable difference in my life. After my quiet time I may also read a book, write, or scroll through Instagram. I do not do the dishes. Or put away laundry. Or any other house duties. I have assigned this as time for myself, not the house. This time has become so vital that I rarely ever want to sleep in late, and if I do, it’s an intentional way of using my time for me to recharge, just in a different way than usual. Can I tell you how life-changing this has been for me? I’ve learned that it’s completely worth the effort to invest in myself so that every other area in my life can reach it’s full potential. Do you ever feel guilty taking time for yourself (like I did)? Or would you say your life is way too busy to make room for yourself? Try to dissect your day from beginning to end and see where you have unused moments that can be claimed for pursuing your own passions and hobbies. I’d love to hear your thoughts in the comments. 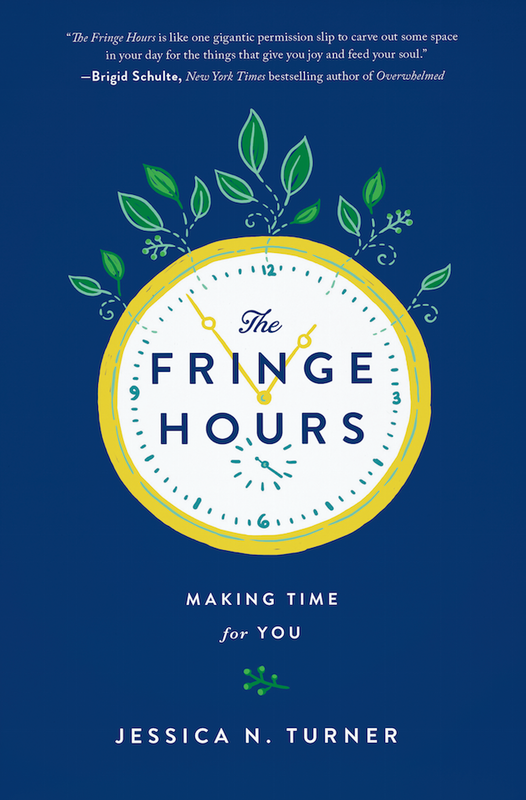 You can order a copy of The Fringe Hours here, and maybe buy an extra one for a friend who could use the encouragement to take some time for herself amidst the chaos of doing life. I received a copy of this book for review as part of the Savvy Sassy Moms Product Scout program. All opinions are my own, as always. Previous Article you are a good mom.